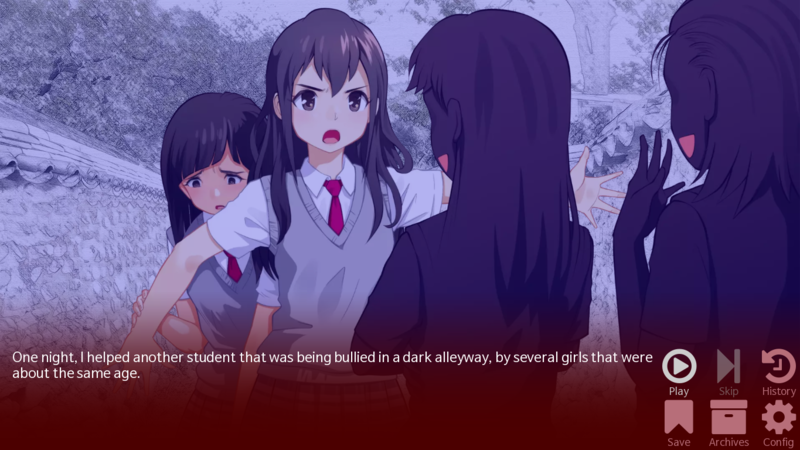 Post news Report RSS	Version 1.7.9.7 Major Updated on Steam. Important: This major update is currently only available on Steam. Long time no see, Yunseok is here. Since July 2016, we've worked hard to make major update. 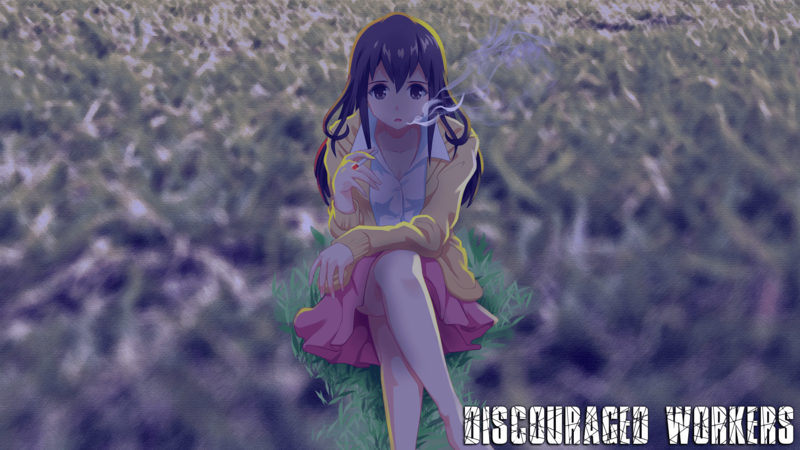 Finally, today, we release Discouraged Workers Version 1.7.9.7. Fixed: Problems opening a DirectInput gamepad or joystick in exclusive mode could prevent Ren'Py from starting. SteamOS: Works as normal like the old version. Linux: Works as normal like the old version. Improved: HighDPI mode is detected properly when displaying the presplash. Fixed: A bug has been fixed that caused fullscreen windows to be displayed at the wrong side on the Microsoft Windows platform when system-wide DPI scaling is enabled. Thank you for PyTom and Ren'Py peoples. Fixed: All screens and GUIs. 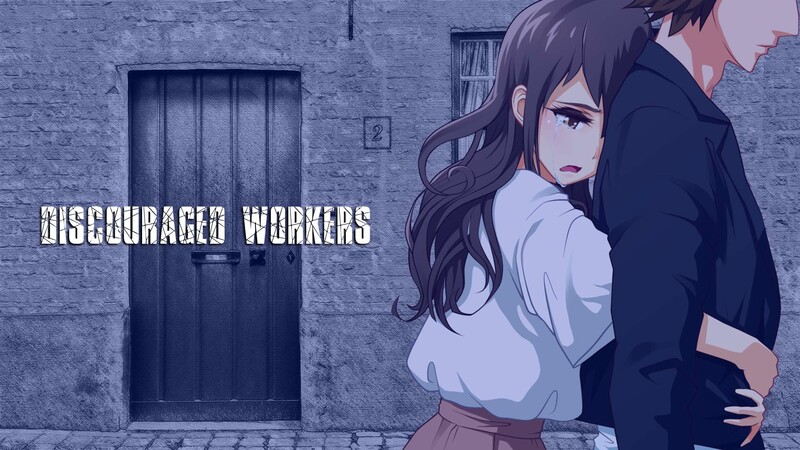 Latest Ren'Py's New GUI was set in Discouraged Workers. 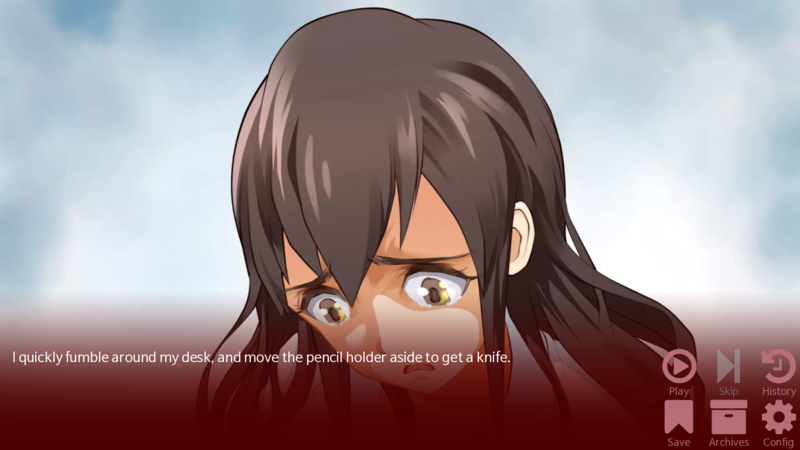 Characters and CGs, backgrounds, objects, even animation. A lot of things have changed. 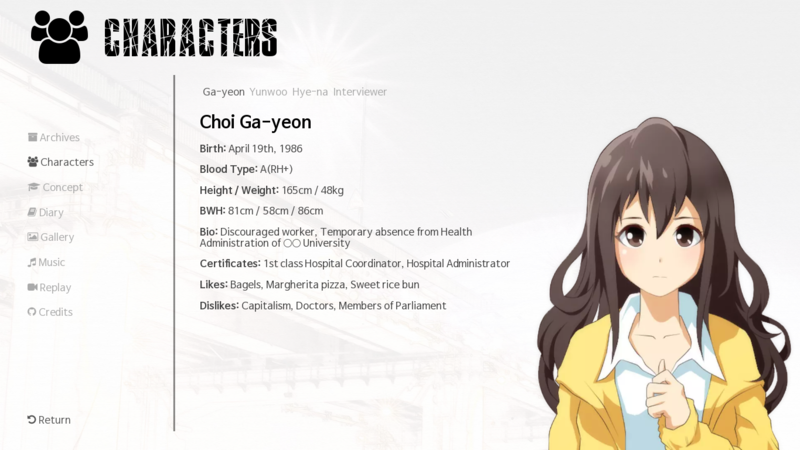 Finally, our hero Ga-yeon has emotional variations. Don't be disappointed if you liked the YANG's art. The old version will soon be released as DLC. Added: Russian support by Roman Koledin. Now available on Russian. Now it's easier and simpler to control the controller. We have removed the complicated things that players can't remember. 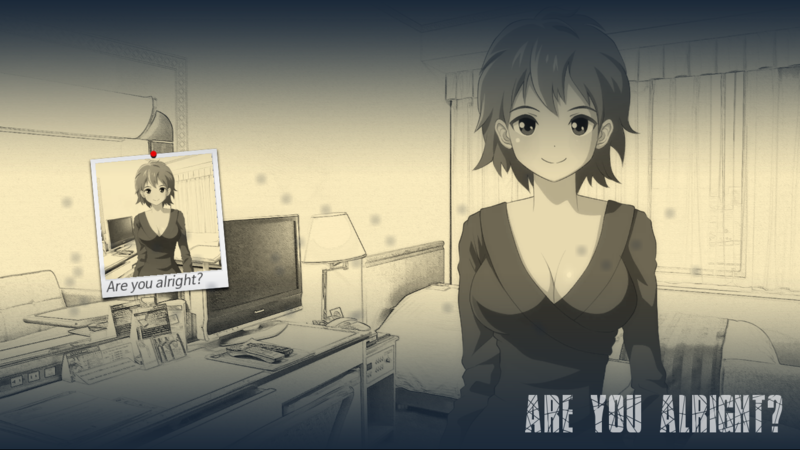 We also tried to follow the Ren'Py basic in this version. 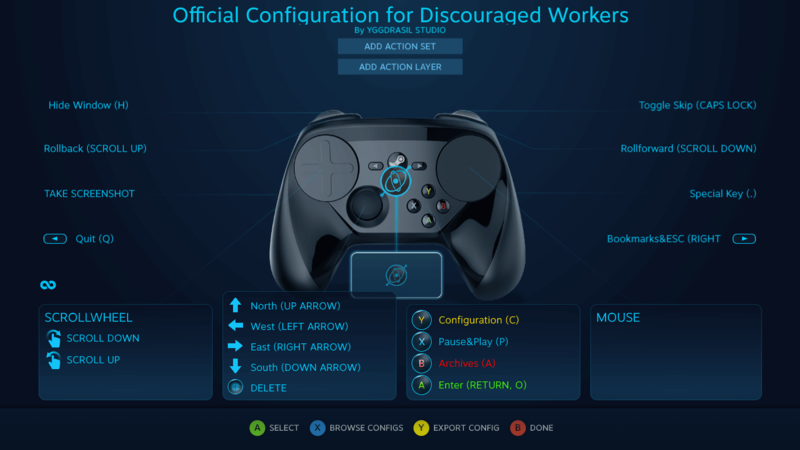 The Steam Controller is easier to control than other controllers. If you set the controller in the basic settings, the button images will be displayed on the screen. Added: New Steam Achievements and Medals. This will change the ending. 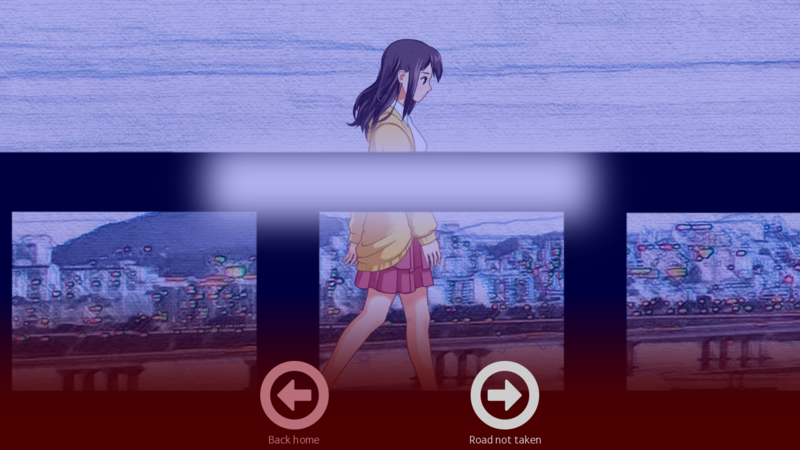 This will remove mosaic or blur in some scenes. 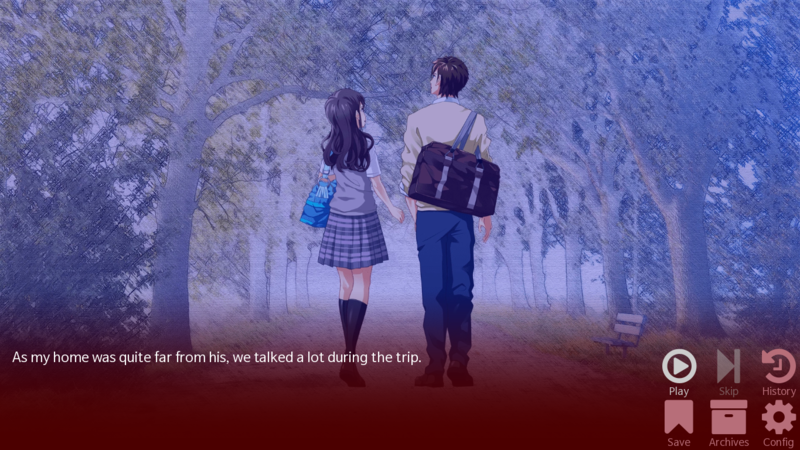 Fixed: Now the epilogue can be seen in your progress directly, not the concept archive. -Because many people have missed it before. 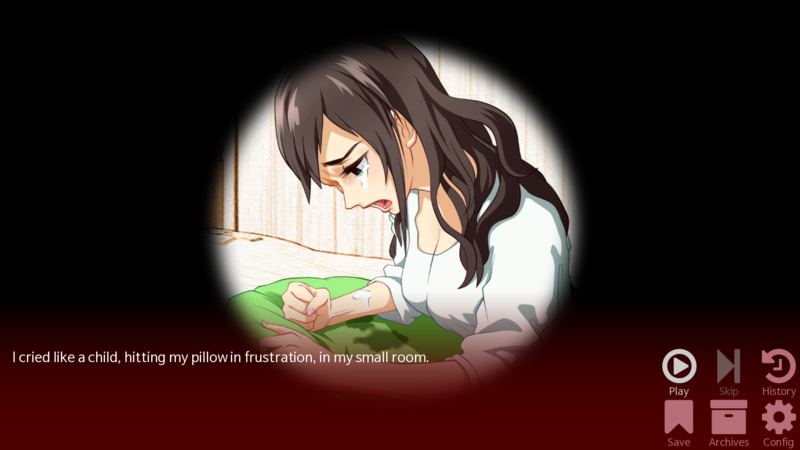 Added: Some very simple text in the "Madness" part, it will give you a hint of the Ga-yeon's psychological state. 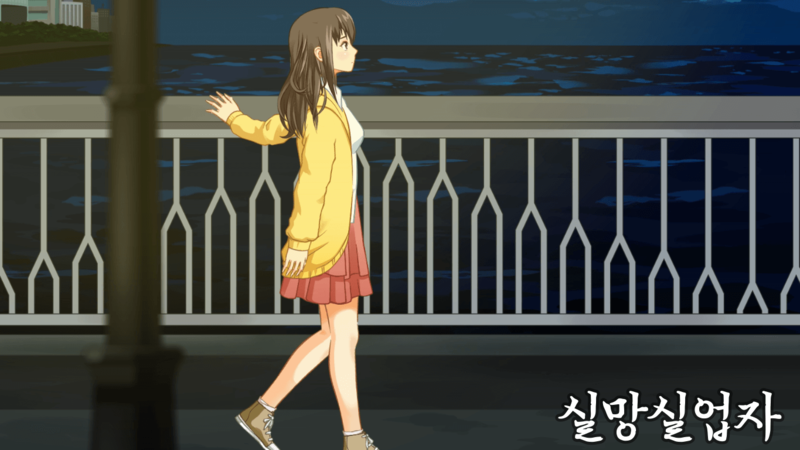 Added: Sketch-arts in the Ga-yeon's diary. Improved: Now the Archives will display your collecting status and medals. Improved: Reduce program size. -Many things have been added. Nevertheless, I've reduced 30MB! Removed: Steam-DRM. -This significantly reduces the likelihood that an executable will be false-positive as malware in anti-virus engines. 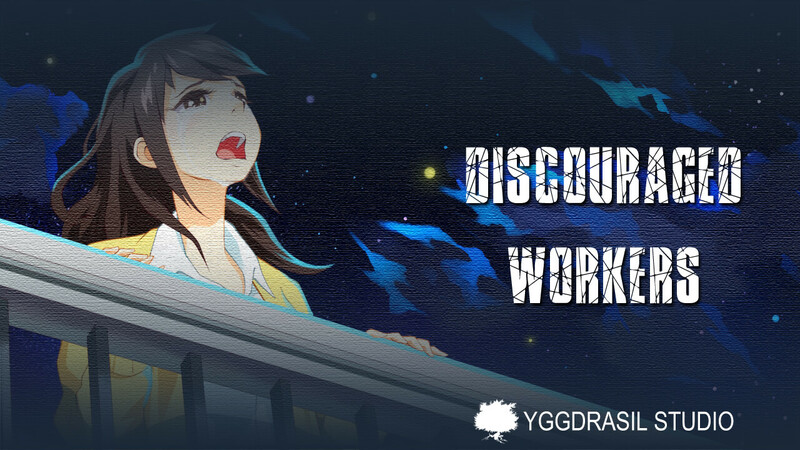 Official Steam Workshop support will be added until 17th this month. For creators and community, I will release the development kit DLC and guides. -I'm serious now. 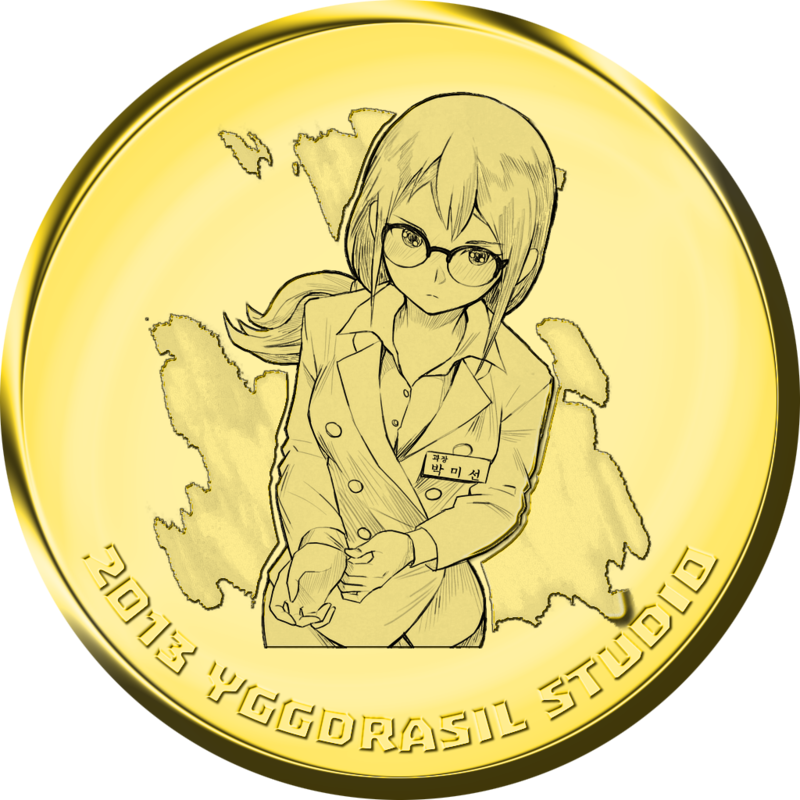 Then you will be able to get linked medal and CREATOR achievement. Spanish support: Now available but inspection is not complete yet. 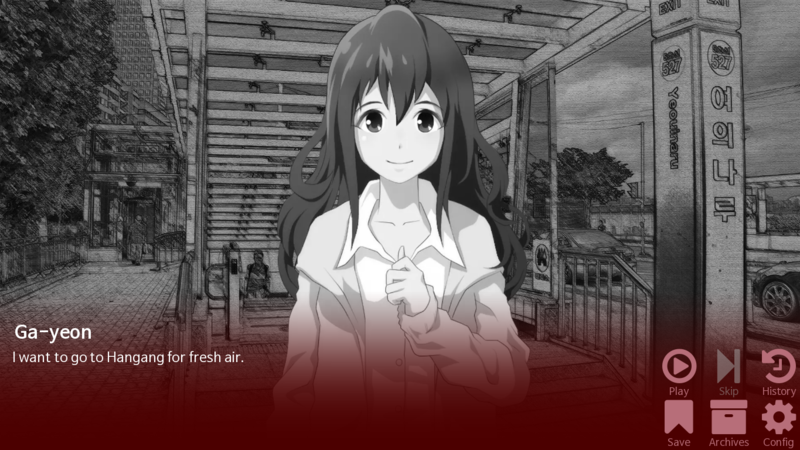 Project Gamer Japonés, our Spanish translation team is working hard. Blind-friendly support has been added but it need more test from actually blind-gamers for each languages. For the play, it need someone's help in the first run. 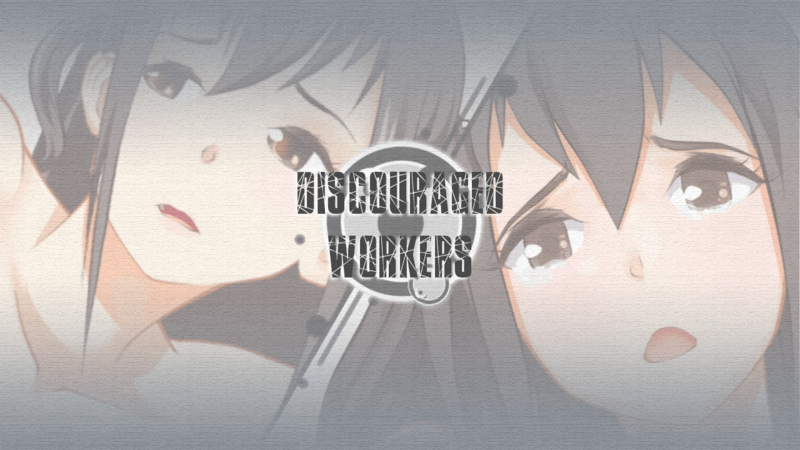 Release: Source code of Discouraged Workers will be LGPL v3.0 -Please see the license declaration in about screen. Update: All existing DLCs include Extras DLC -Raspberry Pi build will be added. Release:Trailer -I don't have any time for make this. Thank you for read this announcement. I am grateful and sorry to those who waited for us for a long time. Remaining plans except for upcoming updates will be announced after upcoming updates is completed. Then, I will be back soon, as soon as possible.